cost Scroll down to find a branch in your area and call for details. 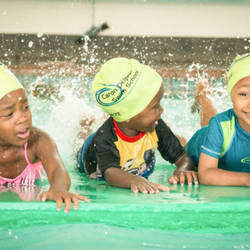 AQUATOTS® Swim Program, the sing-song parent-tot method of teaching swimming skills to infants pioneered by Nell White, originated in a suburban pool on the South African Highveld during the 1960s. 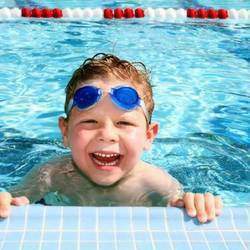 It was developed by its founder over a period of more than twenty five years before it was officially named in 1990. 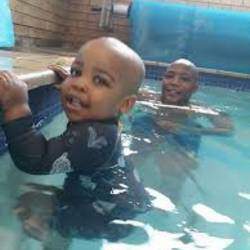 New born or toddler Aquatots has a swimming programme for your child. 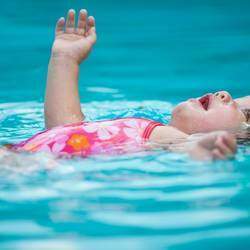 Water is an extension of the natural environment. 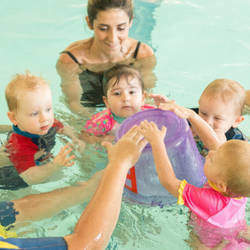 Infants are given the opportunity to develop their inherent swimming ability simply by exposing them to the waterand allowing them to play in it in a swim-directed manner.